For over forty years, David Ligare has been making paintings that conceptually link ancient Greek philosophy to contemporary social needs. Through established painting tropes like the figure and the landscape, Ligare has been embedding tenets of Plato and Aristotle within deftly painted scenes allegorizing social issues such as literacy and homelessness. With Still Life, the artist continues his thesis by giving new meaning and a new history to that eponymous genre. 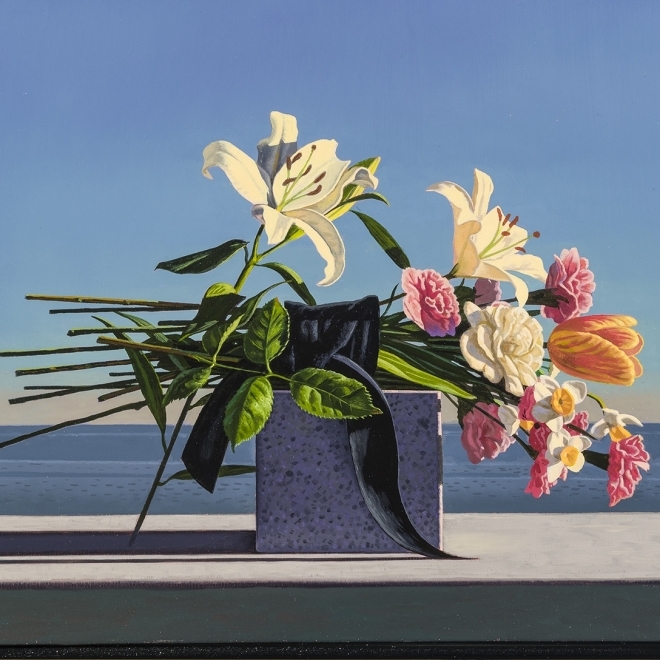 Hirschl & Adler Modern is honored to present these 16 recent paintings by David Ligare, in his third solo exhibition with the gallery. The choice of still life as subject matter is hardly trivial. No genre is perhaps better suited for Ligare’s use of allegory and symbolism. Deceptively simple, these paintings are laden with meaning and reference. Each is a push in the artist’s lifelong call for a renewed passion for knowledge, a message which feels timelier each day. In the complex world we presently find ourselves, advocacy for Stillness, Balance and Truth represents a clear way forward.